At a meeting of the operational headquarters, held on the night of Thursday in the General Directorate of the Ministry of Emergencies of Russia for the Volgograd region, Governor Andrei Bocharov said that the wildfires that had enveloped the previous day threatened 40 settlements. About 5 thousand people prepared for the evacuation. According to the head of the region, the situation was complicated throughout the region. To date, 752 residents have been temporarily evacuated. “To understand the scale, fireballs flew over fireballs, fire approached the objects of special danger, but the roads were not cut, people were saved,” Andrei Bocharov said. He noted that now the situation in all settlements is under control, systemic measures are being taken promptly, basically all the fires are localized or liquidated, and did not rule out that some of the natural fires were caused by arsons. 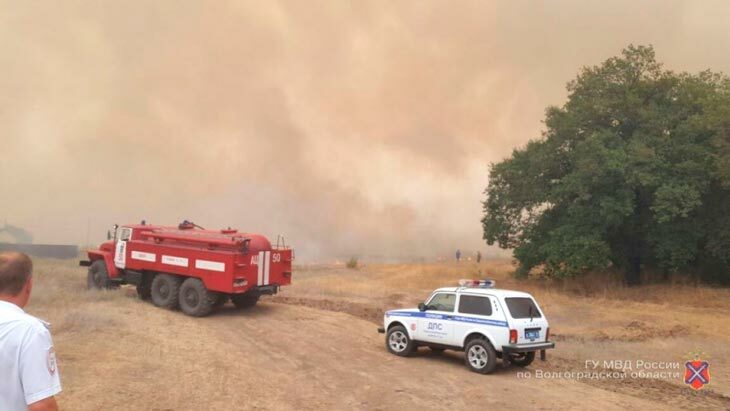 Currently, in the liquidation of fires in the Volgograd region involved more than 5 thousand people and more than 2 thousand units of equipment. Fire brigades from other regions are arriving in the region. As it was reported, on the eve of the wildfires in the Volgograd region, an emergency situation was introduced.